The opening ceremony of the 6th Lushan International Watercolour Art Festival & Award Ceremony of the “Paper Dyeing·All-Life Creation” Watercolour Contest was held at Lushan Tourist Activity Center on the evening of August 16. 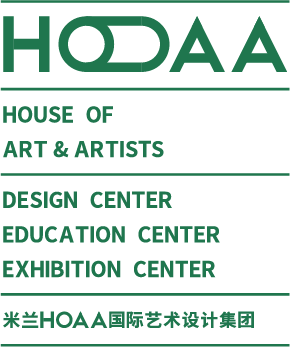 The festival was jointly sponsored by the National College of Architecture Disciplines Guiding Committee, Fine Art Education Committee, Chamber of Commerce of Furniture and Decoration of China Federation of Industry and Commerce Art Decoration Committee and China Watercolour Research Center and organized for the first time by Milan HOAA International Art Design Group. A total of more than 2,000 people attended the opening ceremony and award ceremony, including Tong Binyuan, Vice Director-General of China Architecture Decoration Association, Cai Xun, Chairman of Jiujiang Federation of Literary and Art Circles, Gao Weiming, Chief Editor of New Chinese Journal, Shang Longyong, President of Jiangxi College of Arts, Xu Pingfan, Director of Milan HOAA International Art Design Group, Feng Xinqun, Director of Shanghai Watercolour Painter Association and etc., and 42 artists and painters from 17 countries and regions around the world including Atanur Dawson, Chairman of International Watercolour Society (IWS); Anna Massinissa, Chairman of Fabriano Watercolour Association of Italy, David· Van· Luneng, Chairman of Australian Watercolour Society and others, as well as art college students, watercolour art lovers, media representatives. This year marks the 10th year anniversary of the founding of Lushan International Watercolour Festival (shortened as Lushan Watercolour Festival), which was founded in 2007 aiming to “enhance the study and research of watercolour painting, cultivating and discovering new talents, building an international art platform and promoting Chinese and foreign watercolour painting exchanges, enabling more Chinese students to go abroad to accept international art education”. 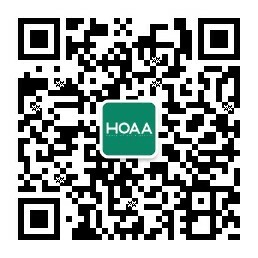 Under the all-round efforts by “HOAA International”, Lushan Watercolour Festival was newly upgraded this year in terms of scale, activity content and mode. At the opening ceremony, Anna· Massinaza, Chairman of the Fabriano Watercolour Association of Italy, David· Van ·Luneng, Chairman of the Australian Watercolour Society, Cai Xun, Chairman of Jiujiang Federation of Literary and Art Circles, Liu Jianping, Director of Jiangxi Working Committee of Art Work, Tang Liang, President of Milan International HOAA Art Design Group and other guests representatives also delivered speeches respectively. In his speech, President Tang said, the founding aim of Lushan Water Color Festival was in consistence with that of “HOAA International” to better exchange artistic and design resources at home and abroad, introduce China’s talents and bring about foreign ideas. The two sides reached very good cooperation in the course of festival. In the future the cooperation will continue, and Fabriano International Watercolour Association of Italy and other international watercolour organizations will be engaged to build “Lushang Watercolour Festival” into a more influential watercolour art festival brand worldwide. At the subsequent award ceremony, awards were given to those works wining the special prize and first prize, second prize and third prize selected among thousands of works. And the corresponding painters were presented awards by watercolour artists at home and abroad, among which, painter Yang Jiyi won the special prize. The Lushan Watercolour Festival also specially set a guest contribution award which was presented for academician Yu Jinggan in recognition of his contribution for watercolour career development. The activities of the 6th Lushang Watercolour Festival started one after another from August 12 and are expected to end on August 25. The activities include: Lushan theme sketching, famous watercolour artists forum, watercolour masters’ lectures, creative watercolour pottery, international tour of outstanding works and other relevant activities around the watercolour art. Among them, for the innovative watercolour art creation form of “Watercolour Pottery” by academician Yu Jinggan, the “Largest Piecing Ceramics Painting” of the Sixth Lushang Watercolour Festival was applying the Guinness World Record. During the festival, all the activities will be online live broadcast simultaneously to benefit more and more watercolour art lovers at home and abroad.